Dr. Blumberg is employed by Penn Medicine. Blumberg EA: Organs from Hepatitis C Virus-Positive Donors N Engl J Med : E-pub,2019. Mazur RD, Abt PL, Blumberg EA, Bloom RD, Reddy KR, Reese PP, Goldberg DS: Characterization of early hepatic injury in HCV-negative recipients of HCV-infected kidneys Clin Transplant : e13494,2019. McLean RC, Reese PP, Acker M, Atluri P, Bermudez C, Goldberg LR, Abt PL, Blumberg EA, Van Deerlin VM, Reddy KR, Bloom RD, Hasz R, Suplee L, Sicilia A, Woodards A, Zahid Muhammad N, Bar KJ, Porrett P, Levine MH, Hornsby N, Gentile C, Smith J, Goldberg DS: Transplanting hepatitis C virus-infected hearts into uninfected recipients: A single-arm trial Am J Transplant : Epub,2019. 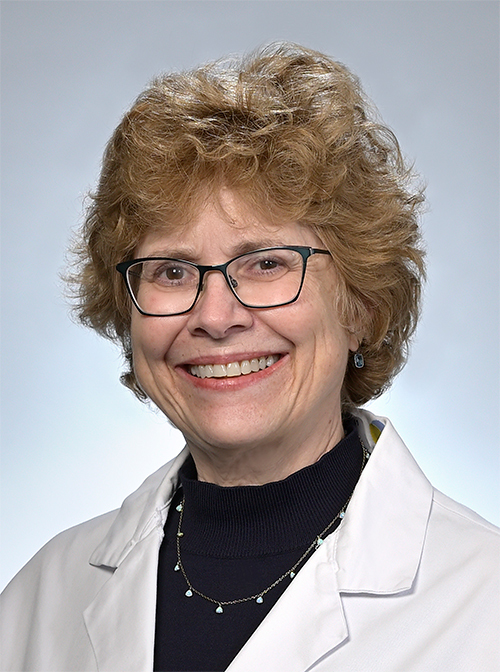 Blumberg EA, Rogers CC: Solid Organ Transplantation in the HIV-Infected Patient: Guidelines from the American Society of Transplantation Infectious Diseases Community of Practice Clin Transplant : e13499,2019. Blumberg EA: MMWR: Prevention and control of seasonal influenza Am J Transplant 18 (11): 2829,2018. Reese PP, Abt PL, Blumberg EA, Van Deerlin VM, Bloom RD, Potluri VS, Levine M, Porrett P, Sawinski D, Nazarian SM, Naji A, Hasz R, Suplee L, Trofe-Clark J, Sicilia A, McCauley M, Gentile C, Smith J, Niknam BA, Bleicher M, Reddy KR, Goldberg DS. : Twelve-Month Outcomes After Transplant of Hepatitis C-Infected Kidneys Into Uninfected Recipients: A Single-Group Trial Ann Intern Med 169 : 273-281,2018. L’Huillier AG, Ferreira VH, Hirzel C, Cordero E, Limaye AP, Reid G, Englund J, Blumberg E, Kumar D, Humar A.: Cytokine Profiles and Severity of Influenza Infection in Transplant Recipients. J Infect Dis : 2018. Blumberg EA: Prevention of hepatitis B virus infection in the United States: Recommendations of the Advisory Committee on Immunization Practices: A summary of the MMWR report Am J Transplant 18 (5): 1285-1286,2018. Kumar D, Ferreira VH, Blumberg E, Silveira F, Cordero E, Perez-Romero P, Aydillo T, Danziger-Isakov L, Limaye Ajit P, Carratala J, Munoz P, Montejo M, Lopez-Medrano F, Farinas MC, Gavalda J, Moreno A, Levi M, Fortun J, Torre-Cisneros J, Englund JA, Natori Y, Husain S, Reid G, Sharma TS, Humar A: A Five-year Prospective Multi-center Evaluation of Influenza Infection in Transplant Recipients Clin Infect Dis : doi: 10.1093/cid/ciy294,2018. McCauley M, Mussell A, Goldberg D, Sawinski D, Molina RN, Tomlin R, Doshi Sahil D, Abt P, Bloom R, Blumberg E, Kulkarni S, Esnaola G, Shults J, Thiessen C, Reese PP: Race, Risk, and Willingness of End-Stage Renal Disease Patients Without Hepatitis C Virus to Accept an HCV-Infected Kidney Transplant Transplantation 102 (4): e163-e170,2018.